• Super heavyweight hairpins specifically designed for dancers. • They have a wave and slight bend to keep them in place. 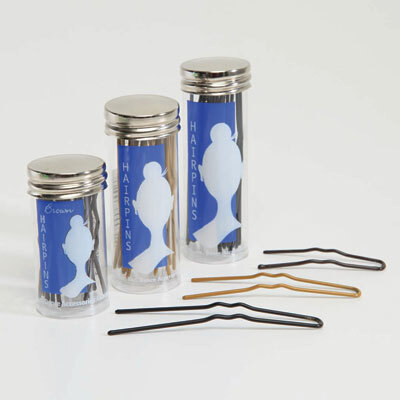 • One pin does the job of several "ordinary" hairpins. • Available in 3 different sizes and 3 different colors. • Quantity - 12 per package.